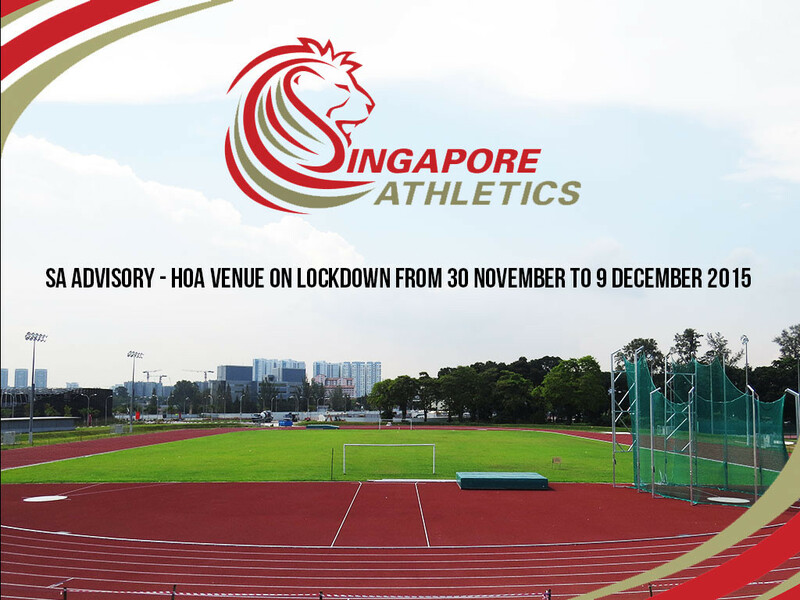 We have been informed that Home of Athletics will be lock down between 30 November to 9 December 2015 for the 8th ASEAN Para Games 2015. We seek your kind understanding to find alternative training ground during this period. Thank you for your continued support of Singapore Athletics. For any enquiries, you contact us here.